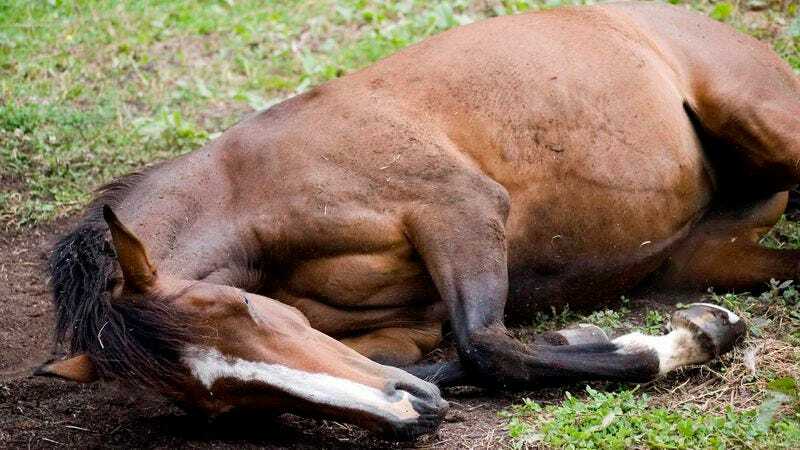 Can You Comfort This Dying Horse With Some Bible Stories? Oh, no. Look at that beautiful, beautiful creature, lying on its side all alone in this clearing with the sun so high overhead. It must know it’s near the end. Can you bring it gently into the dark with kind tales from the Bible?